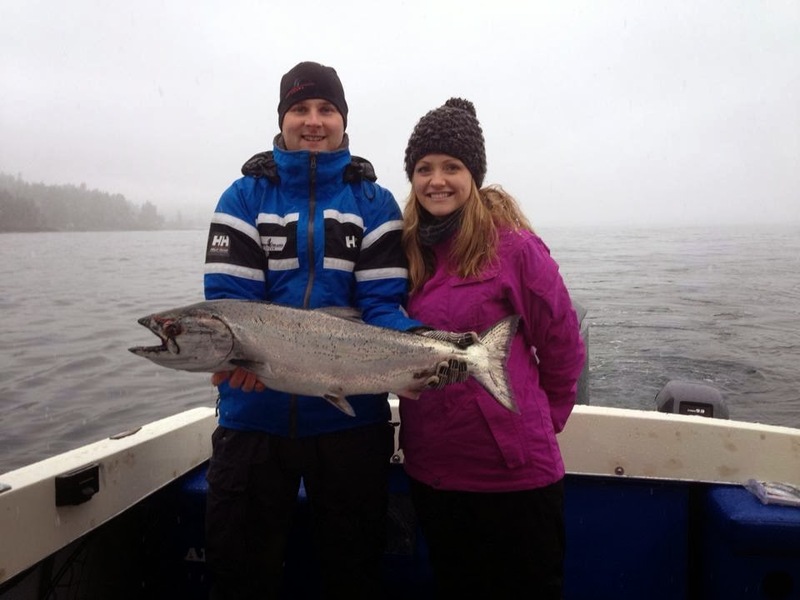 For those brave enough to go out in the snow and wind, there's been some good fishing around Sooke and Victoria lately. Here's Ryan from Vancouver Island Lodge with a couple new friends, one of which is a 15 pound winter chinook salmon. 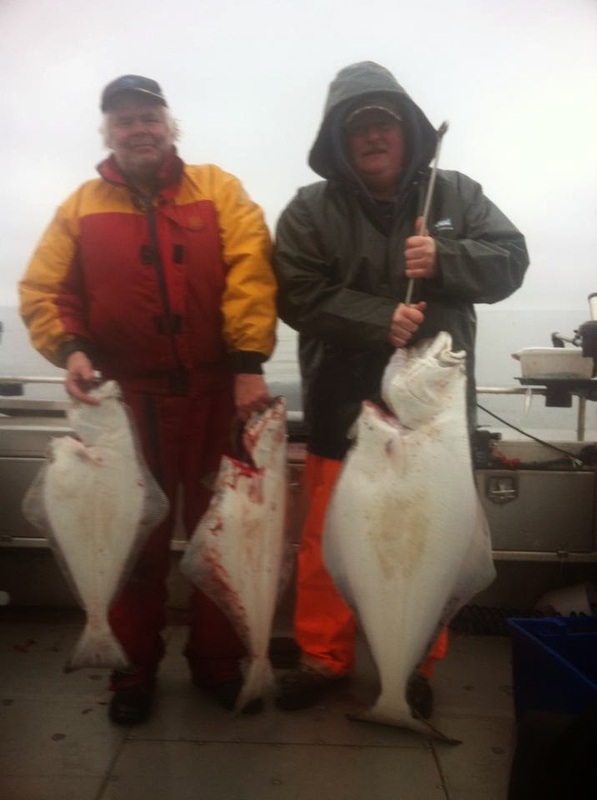 When the tides are right there are some halibut around too ... Trevor from No Bananas Fishing Charters caught a couple halibut while trolling for salmon, sending home some white gold with these Fort MacMurray visitors.